The Wars of the Roses (1455-1487) was a series of battles fought between two rival branches of the royal House of Plantagenet – York and Lancaster. This period encompassed the reigns of Henry VI, Edward IV and Richard III and ended following Henry Tudor’s victory at the Battle of Bosworth. Over the last few years this has become one of my favourite historical periods. It can be very complex and confusing, but I find the history, the politics and the colourful characters fascinating to read about. I’ve listed below all of the books I’ve read on the subject so far, both fiction and non-fiction, and will continue to update the list as I read more of them. This is one of my all-time favourite historical fiction novels and the best book I’ve read on Richard III. Don’t let the length put you off! Penman does a great job of making a complicated period of history easy to understand as she tells the story of Richard’s life from his childhood to his tragic death. I can’t recommend this book highly enough…it really is wonderful. Published in the 1950s, this is the story of Inspector Alan Grant who in hospital with a broken leg and decides to investigate Richard III and his alleged crimes from his hospital bed. Reading everything he can find about Richard and the disappearances of the Princes in the Tower, Grant begins to discover that historical sources can’t always be trusted and that history is written by the victors. 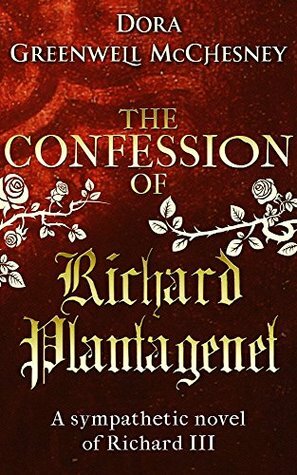 Like The Sunne in Splendour, this novel also covers Richard III’s life but from the perspective of his cousin Martin Robsart, a fictional character. I loved this book – it was well-researched, the characters were believable and I could even follow the battle scenes! A parody of the historical novel, this book takes a humorous look at the Wars of the Roses through the eyes of 15th century ‘damosel’, spy and knight’s lady Alianore Audley. Some familiarity with the period is needed to fully understand all the jokes and get the most out of this book. A very early pro-Ricardian novel originally published in 1929. This book has a very old-fashioned feel, but is an enjoyable read which takes the reader through the entire life of Richard III. An even older book than Dickon, this one was published in 1913! Described as ‘a sympathetic novel of Richard III’ it does live up to its description, seeking to free Richard from blame and rescue his reputation. Another novel written in a very archaic style, but definitely worth a read. Each of the books in Gregory’s Cousins’ War series focuses on a different female historical figure who played a part during the Wars of the Roses: The White Queen (Elizabeth Woodville), The Red Queen (Margaret Beaufort), The Lady of the Rivers (Jacquetta of Luxembourg), The Kingmaker’s Daughter (Anne Neville), The White Princess (Elizabeth of York) and The King’s Curse, (Margaret Pole). The final book is really more of a Tudor novel than a Wars of the Roses one, but I have included it with the others as it’s part of the same series. 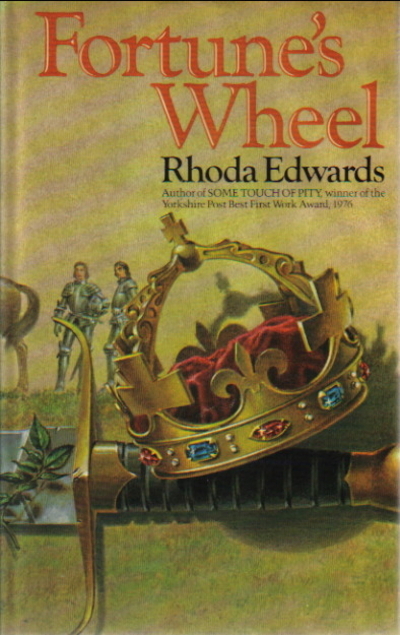 This is an excellent novel from the 1970s about the reign of Richard III. Covering a short period of history (from 1483-1485) and told as a series of first-person accounts narrated by the people closest to Richard – and even Richard himself – the novel paints a moving and intimate portrait of this fascinating king. 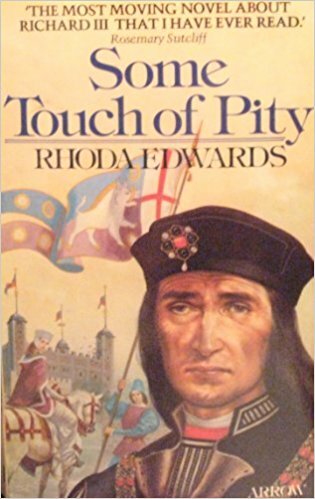 A prequel to Some Touch of Pity, this novel covers an earlier period in Richard’s life. It is written as a more straightforward third person narrative and I found it less emotional than the previous book, but still a good read. 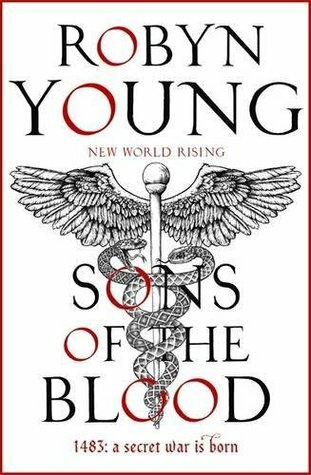 This is the first in Robyn Young’s New World Rising series following the adventures of Jack Wynter, illegitimate son of a royal chamberlain, who becomes caught up in a secret conspiracy. This first novel is set in Richard III’s England with a large part of the storyline revolving around the mystery of the Princes in the Tower. The thriller-type elements were too prominent for my tastes, but I did still enjoy the book due to the time period being one of my favourites. This is a great book on Richard III, originally published in 1937. It is written from many different perspectives, with a range of characters taking turns to tell their own part of the story. The portrayal of Richard is sympathetic but balanced. I would definitely recommend this one, but maybe not if you’re new to the period. A fictional account of the life of the 15th century artist, Hans Memling. After meeting both Edward IV and his brother Richard in Bruges (there’s no evidence that this ever happened), Memling comes to England where he becomes embroiled in the mystery of the Princes in the Tower. This was an interesting read, but I did have some reservations about it – read my review first to see if it sounds like something you would enjoy. 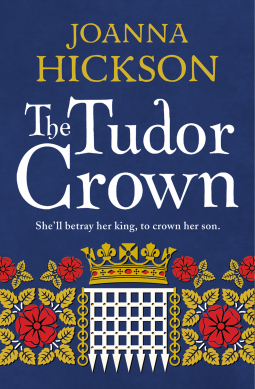 Taking us back to the beginnings of both the Wars of the Roses and the House of Tudor, this is the story of Jasper Tudor, half-brother of Henry VI and uncle of the future Henry VII. An interesting novel, focusing on lesser-known characters from the period. However, there’s also a fictional storyline involving a cousin of Jasper’s and I found this aspect of the book less successful. 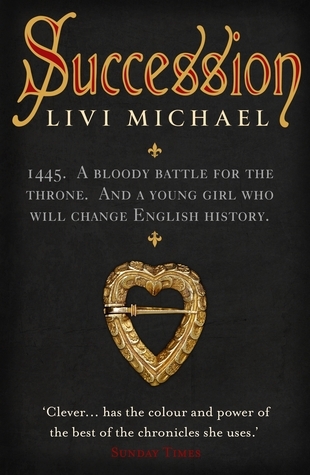 This is a sequel to First of the Tudors, but would also work as a standalone novel. The narrative alternates between Henry Tudor, exiled in Britanny, and his mother Margaret Beaufort at the English court, preparing the ground for him to return and claim the throne. 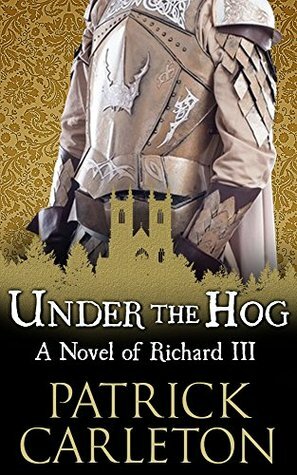 An interesting novel, which portrays Henry in a sympathetic light – although I don’t share the author’s views on Richard III. A trilogy of Wars of the Roses novels with a focus on Margaret Beaufort and Margaret of Anjou. These are unusual books because they quote heavily from contemporary chronicles, using them to tell the story in conjunction with the author’s original prose. The first book takes us through to the Lancastrian defeat at the Battle of Towton, while the second continues the story as far as the Battle of Tewkesbury in 1471 and the third reaches a conclusion with Henry Tudor’s victory at Bosworth Field. This novel tells the story of Cicely Neville, the ‘Rose of Raby’, who was mother to two Kings of England, Edward IV and Richard III. The book concentrates on Cicely’s early life and her marriage to Richard, Duke of York. Another storyline follows Cicely’s fictitious half-brother Cuthbert as he also becomes embroiled in the Wars of the Roses. The first in a series, this one is set at the beginning of the Wars of the Roses as Henry VI’s throne begins to come under threat from Richard, Duke of York. This turned out not to be my type of book, but Conn Iggulden is a very popular author and if you like your historical fiction with plenty of action and lots of battle scenes you might enjoy Stormbird more than I did. This is also the first in a series and is also set near the beginning of the period. The main characters, however, are a monk and a nun who have been forced to leave their priory, emerging from their isolated community to find that England is being torn apart by civil war. 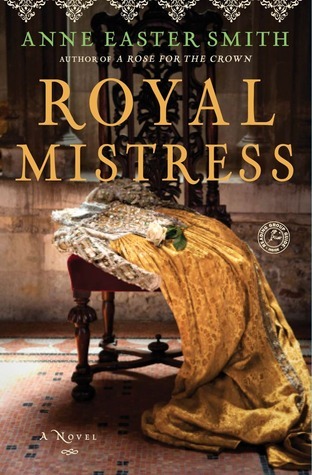 I liked the fact that this book concentrates on the lives of ordinary people rather than royalty and nobility. A fairly straightforward fictional biography of Elizabeth of York, daughter of Edward IV, sister of the Princes in the Tower, wife of Henry VII and mother of Henry VIII. 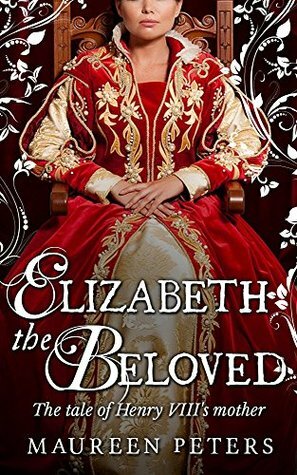 A good introduction to Elizabeth’s life for readers new to the subject. The story of two clever, charismatic men who find themselves on opposite sides of the conflict – the Lancastrian Simon Roseblood and Yorkist Amadeus Sevigny. The plots and schemes of these two men are played out during the early years of the Wars of the Roses as the Duke of York prepares to claim the throne of England. I really enjoyed this one and am hoping for a sequel. This is actually a dual timeline book. Part of the novel follows the life of Katherine Grey, a younger sister of Lady Jane Grey (Queen of England for just nine days), but the other part tells the story of Kate Plantagenet, an illegitimate daughter of Richard III. 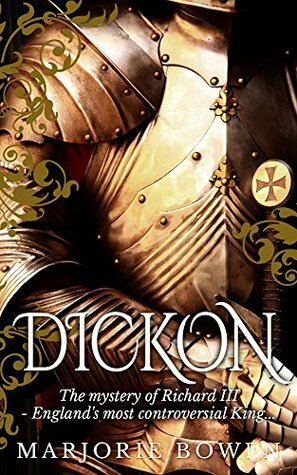 Unfortunately Alison Weir and I have very different opinions of Richard and this affected my enjoyment of the book to the point where I wished she had concentrated solely on the Katherine Grey storyline. 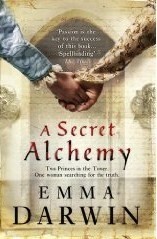 This novel follows the story of Jane Shore, mistress of Edward IV. I found the first half of the book very heavy on the romance, but that is probably to be expected from a novel about a royal mistress! The second half was much better and I did end up enjoying it. A different take on Jane Shore, but again very heavy on the romance with little attention given to any other aspects of Jane’s life or character. Published in the 1950s this does feel a bit dated. Another novel on the life of Jane Shore, written by a long-forgotten Victorian author. With wooden characters, unconvincing dialogue and lots of melodrama, I really can’t recommend this book and would suggest trying one of the others I’ve mentioned above if you want to read about Jane Shore. This sounded fascinating – a present day historian, Una Pryor, researches the lives of Elizabeth Woodville, wife of King Edward IV, and her brother Anthony, and begins to investigate the mystery of the Princes in the Tower. Unfortunately I couldn’t get into the story at all and didn’t finish reading it. A companion book to Philippa Gregory’s Cousins’ War series mentioned above. The book contains three essays – one by Philippa Gregory on Jacquetta of Luxembourg, another by David Baldwin on Elizabeth Woodville and the final one by Michael Jones on Margaret Beaufort. Another non-fiction book that looks at the period from a female perspective. The seven women whose lives are covered in this book are: Margaret of Anjou, Cecily Neville, Elizabeth Woodville, Margaret of Burgundy, Anne Neville, Margaret Beaufort and Elizabeth of York. This is a sequel to Dan Jones’ previous book, The Plantagenets. The book covers the whole of the Wars of the Roses period, beginning with the marriage of Henry V and Catherine of Valois and ending with the reign of Henry VII. It’s both factual and entertaining, but I found it slightly biased towards the Lancastrian/Tudor side. If you’ve read any other books about the Wars of the Roses please post your recommendations in the comments below. Lovely list! Apart from The Daughter of Time, I’ve read just one – The Secret Alchemy, some years ago, but can’t remember much about it.